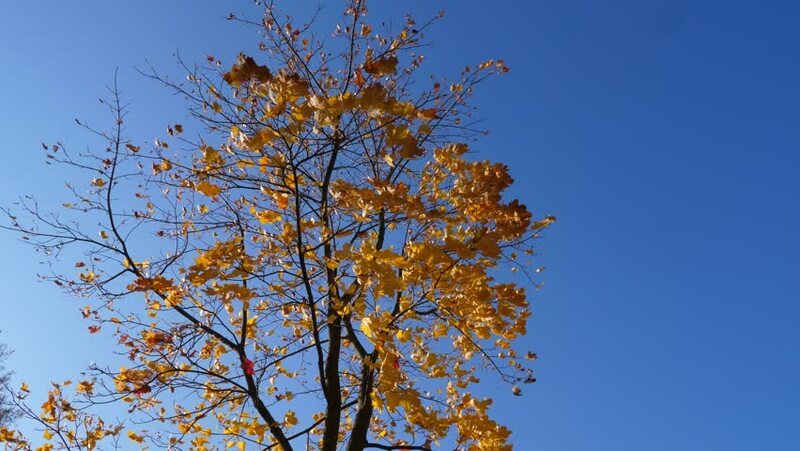 hd00:18Yellow crown of larch tree against blue sky background. Low angle. Sunny autumn day.